Feel the adventures. Trekking agency in Nepal. 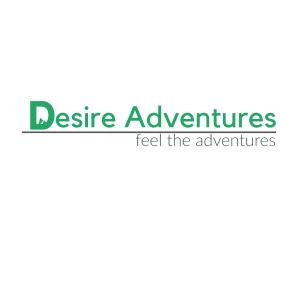 Travel Agency in Nepal. See More nt of Tourism within Ministry of Tourism. Our excellent and experienced team is what makes the company substantial and outstanding till date. We provide a variety of treks and lead expeditions along with a mixture of adventure tour and cultural trip for enthusiastic travelers from all around the world. We have lead successful treks and expeditions throughout the years managed by an experienced team in the tourism industry. What makes the company remarkable is our conduct towards our customers. We are committed to offer quality service with customer safety as our topmost priority. Keeping your timing and physical conditions in mind, we also offer flexibility with the tours. Nevertheless, we are determined to provide our customers with an authentic and cultural experience of the Nepal. The experience and knowledge of the management team along with the expedition team makes us one of the most trusted and proficient travel company. From safety, flexibility and personalized service to financial protection and sustainable tourism, we facilitate our clients with an excitement of adventure with responsible travel. We are also associated with Nepal Tourism Board (NTB), Trekking Agents Association of Nepal (TAAN), Kathmandu Environment Education Project (KEEP) and Nepal Mountaineering Association (NMA) along with a registered license from the Government of Nepal which makes us one of the most preferred and trusted trekking agencies in Nepal. Your next adventure to the Land of the Himalayas is only a click away. Explore nature and the cultural wonders, stroll around the city and the villages and explore the lifestyle and trek in the mighty mountains with us. Along with our team of guides and Sherpas, we also hire a local on demand, specifically to explore the untouched parts of the attractions and culture. We respect our nature and our culture and we want to showcase you the natural beauty of Nepal. Come explore the country with us!